Faculty senate members urged transparency in their first meeting since Interim President Greg Postel revealed a $48 million budget shortfall. “I think we need to hold firm with the interim president that, throughout this budget process, the information is shared widely and publicly,” faculty senator Reg Bruce said. Bruce’s call mirrors a resolution penned by U of L’s American Association of University Professors, requesting financial statements and transparency from the university’s administration. That resolution was sent back during faculty assembly, requesting changes to its strong wording. Senators questioned Postel and Acting Provost Dale Billingsley in the March 1 meeting, who detailed changes needed to balance 2018’s budget. The current budget calls for drastic spending reductions across departments. Billingsley said the net position, unrestricted money free to spend after a fiscal year, of the university has plummeted since 2011. U of L’s net position dropped from $96 million in 2011 to a deficit of $7 million in 2016. Falling reserves could mean disapproval from Moody’s, the debt rating service who changed ULF’s debt rating in 2016 to negative, making money borrowing harder. “This information, if replicated this year, is going to raise flags with Moody’s and SACS. And we don’t want any more attention from either of those distinguished bodies,” Billingsley said. The 2018 budget, finalizing under a budgeting development committee’s guidance, expects board passage by June 15. Postel presented counter measures to the budget shortfall, including departmental budget caps and hiring and salary increases. Some resolutions will result in lay-offs, as Postel said nearly 20 workers in his office were lost, via attrition, resignation or firing, to save money. Of the seven fired yesterday, six were staff. He assured staff are not being targeted. “I’m frustrated OK, and this is absolutely no fun. This is not the kind of work that we want to do,” Postel said. Postel said potential donors and revenue options could supplement funds. While ULF’s monitors the $730 million endowment, most funds are restricted and its spending amounts are capped until a forensic audit on its finances completes. Faculty senate members also voted in support of the Student Government Administration’s resolution to bring U of L into ADA compliance for braille. SGA presidential candidate Keith Auspland sponsored the resolution, gaining support among SGA members. 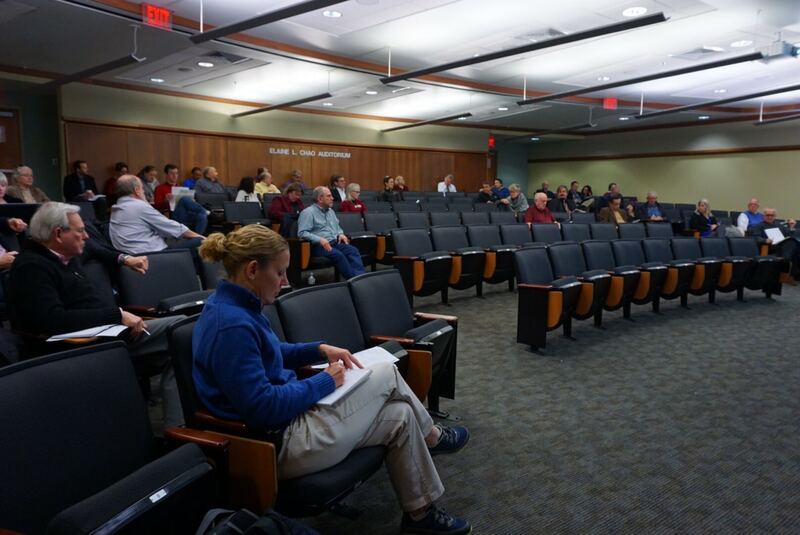 The faculty senate meets again April 5.